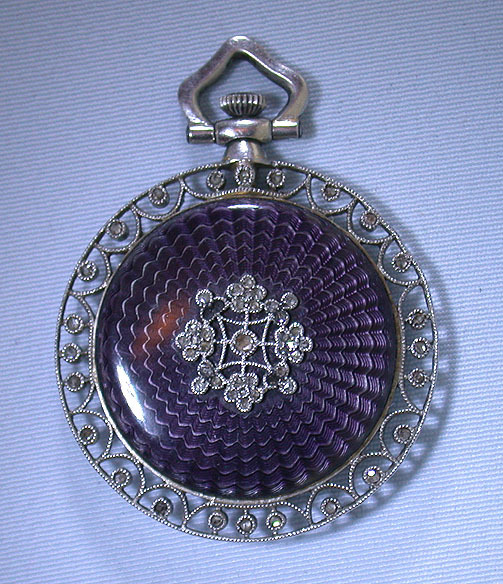 Fine and beautiful 18K gold and platinum diamond enamel ladies antique pendant watch circa 1920. The watch encircled with platinum filigree work set with diamonds. 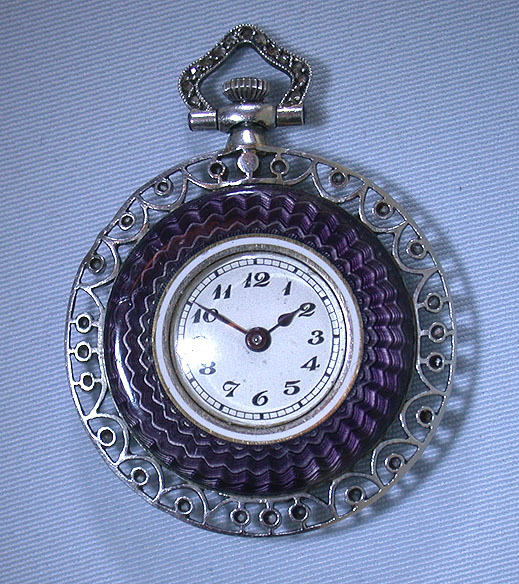 The bezel and back in purple enamel over engine turning, the back centered with more filigree and diamonds. 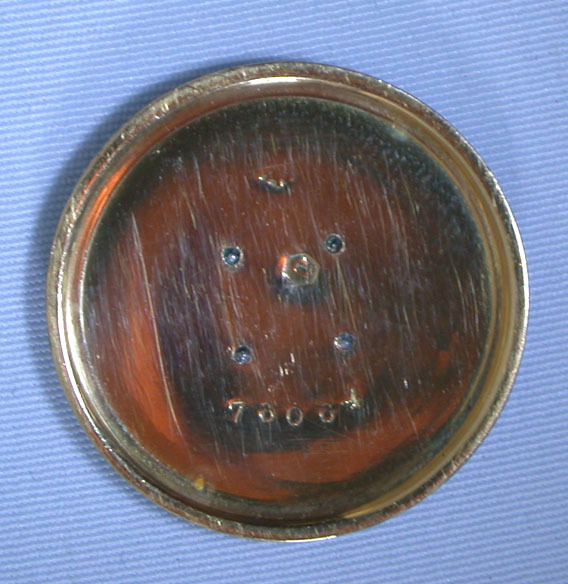 Original silver dial with blued steel hands. 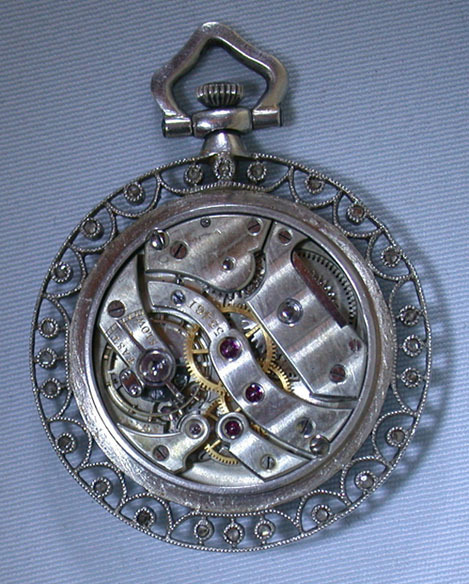 High grade nickel 16 jewel lever movement.